APR170700 - SAM AND TWITCH ARE BACK!!!.. 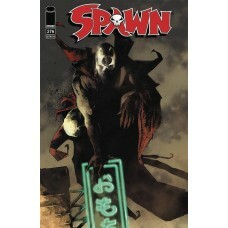 DEC160738 - Spawn comes face-to-face with one of his BIGGEST mortal enemies! 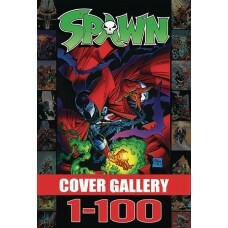 (W) Todd McFarlane, Various (A) Szymon Kudr..
DEC160739 - Spawn comes face-to-face with one of his BIGGEST mortal enemies. 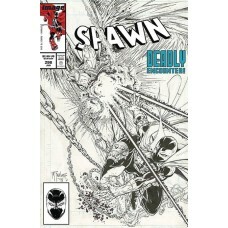 (W) Todd McFarlane, Various (A) Szymon Kudr..
FEB170580 - Do you have a favorite hero?! Better change it… they're DEAD! 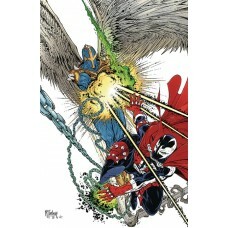 If you ever wondered who the strongest hero is..
FEB170677 - The exciting climax to one of Spawn's hardest battles to date!.. 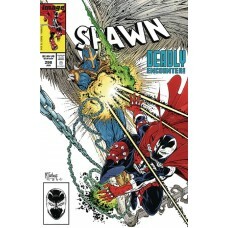 FEB170678 - The exciting climax to one of Spawn's hardest battles to date!.. FEB190117 - COLLECTED FOR THE FIRST TIME! 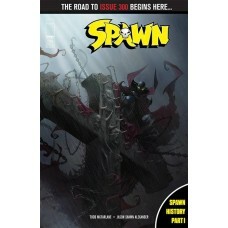 Al Simmons launches a master plan that sets the stage for SPAWN's record-sett..
FEB190211 - NEW STORY ARC 'THE LIFE AND DEATHS OF AL SIMMONS,' Part One The road to SPAWN's record-setting 300th issue B..
FEB190212 - NEW STORY ARC 'THE LIFE AND DEATHS OF AL SIMMONS,' Part One The road to SPAWN's record-setting 300th issue B..
FEB190213 - NEW STORY ARC 'THE LIFE AND DEATHS OF AL SIMMONS,' Part One The road to SPAWN's record-setting 300th issue B..
JAN170763 - Introduction of a NEW VILLAIN into the Rogue's Gallery…The Soul Crusher!.. JAN170764 - Introduction of a NEW VILLAIN into the Rogue's Gallery…The Soul Crusher!.. 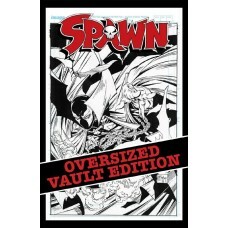 JAN180829 - The re-creation of Spawn's arch villain THE VIOLATOR…A NEW LOOK! NEW POWERS! 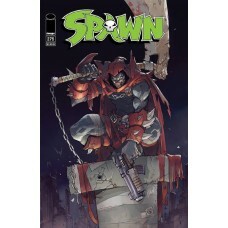 ..
JAN180830 - The re-creation of Spawn's arch villain THE VIOLATOR…A NEW LOOK! NEW POWERS! ..
JAN180831 - The re-creation of Spawn's arch villain THE VIOLATOR…A NEW LOOK! NEW POWERS! 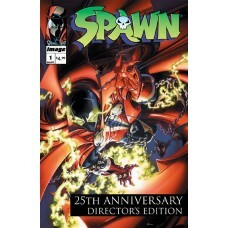 ..
MAR170670 - In celebration of the 25th anniversary of SPAWN, Todd McFarlane has opened his personal vault and is collect..
MAR172996 - From NECA. 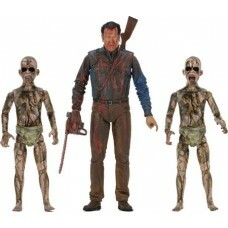 Just in time for Season 2 of the hit Starz series Ash vs. 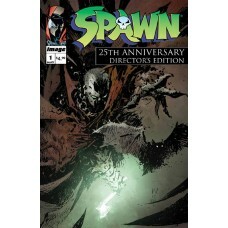 Evil Dead, we present a special edition..
MAR190250 - 'THE LIFE AND DEATHS OF AL SIMMONS,' Part Two: The history of Spawn continues as Al Simmons' war with Heaven..
MAY170722 - DARK HORROR,' Part One An even darker new chapter in the SPAWN saga begins with a new creative team! 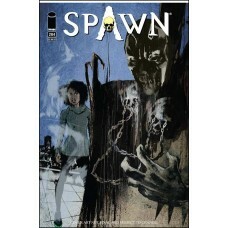 Art by ..
MAY170723 - DARK HORROR,' Part One An even darker new chapter in the SPAWN saga begins with a new creative team! Art by ..